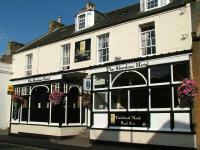 Welcome to www.holidays-scotland.net, a useful resource to help you book your next holiday or business trip to Scotland. We offer a wide range of both business and holiday accommodation for couples, families and groups, all bookable online 24 hours a day. Read more about Scotland on the Scotland Tourist Information page and we hope it will give you some holiday ideas on what to do when you are on holiday in Scotland.